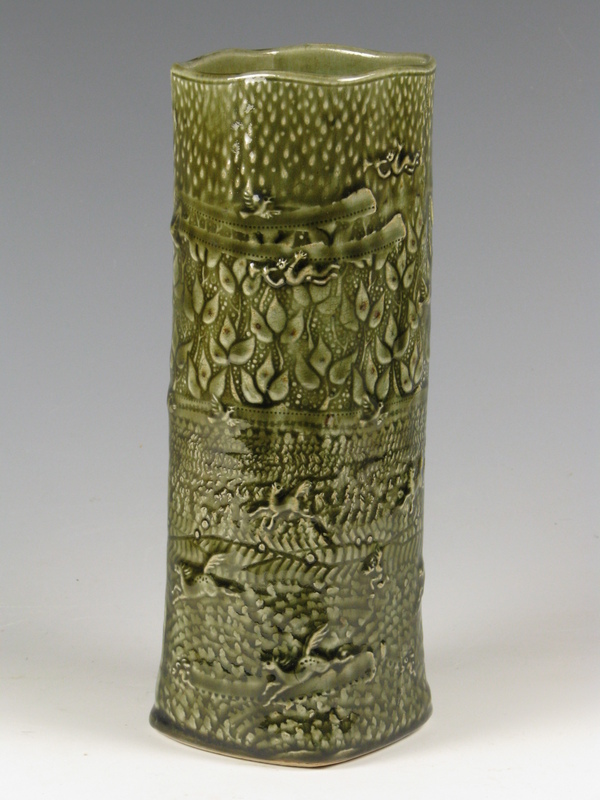 Celadon is one of my favorite glazes because its watery depth reveals textured clay surfaces. 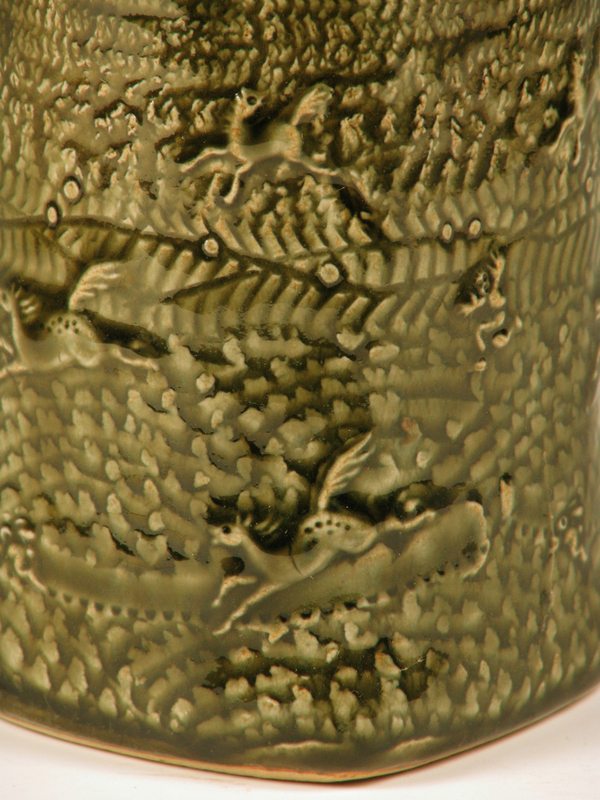 This kind of texture is created by marking the slab with rolling stamps I carved before forming the vase. The little images that stand proud of the surface come from sprig stamps I’ve made, and it’s my hope that the juxtaposition of those images produces a little psychodrama, a story that might enhance an arrangement of flowers contained within it. This vase is about 10 inches high. 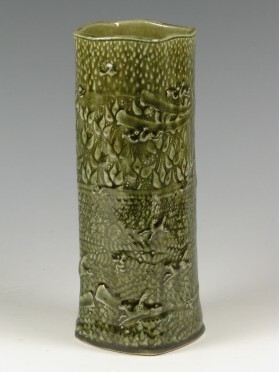 Stoneware high-fired to cone ten for durability and depth in the glaze. 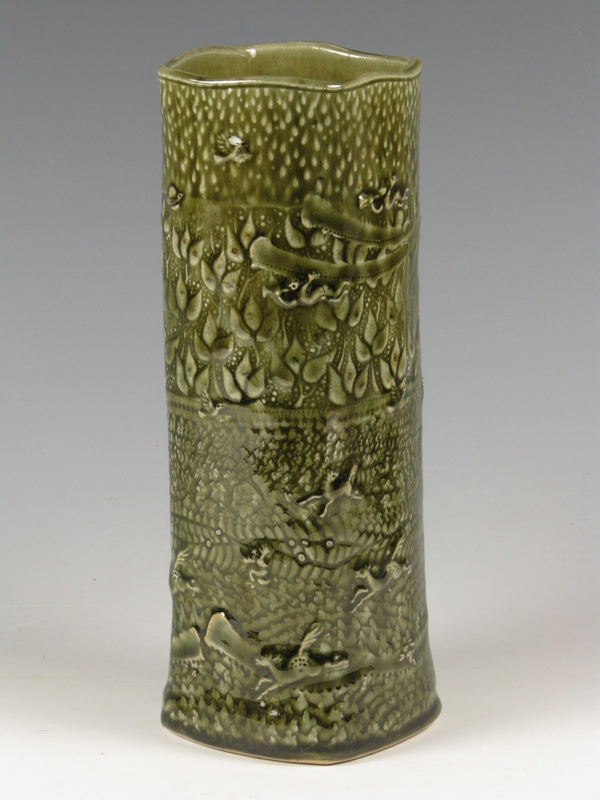 This vase is handbuilt and altered to a squared form.